When you have a commercial roofing project in Birmingham, Alabama, and need a company to complete the job quickly and efficiently, turn to Arango Insulation. We have the knowledge and expertise to complete roofing jobs for multiple commercial structures, including multi-family apartments and condominiums, and aim to provide you with the high quality work you demand within the timeline you need it done. We understand the importance of staying on schedule, and we pride ourselves on producing extremely fast turnaround times for jobs. We don’t, however, cut corners to boast that claim. In fact, our installation teams and expert project managers are meticulous in their approaches to ensure jobs are done properly the first time. Some of our roofing products come with outstanding warranties. Because we are a certified commercial roofer by GenFlex and Versico, we can offer the manufacturers’ warranties (ranging from 5 to 30 years) that are available on those low slope/flat roof systems. Also, the steep slope metal roof systems we offer come with a Kynar coating, which carries a 20-year warranty. 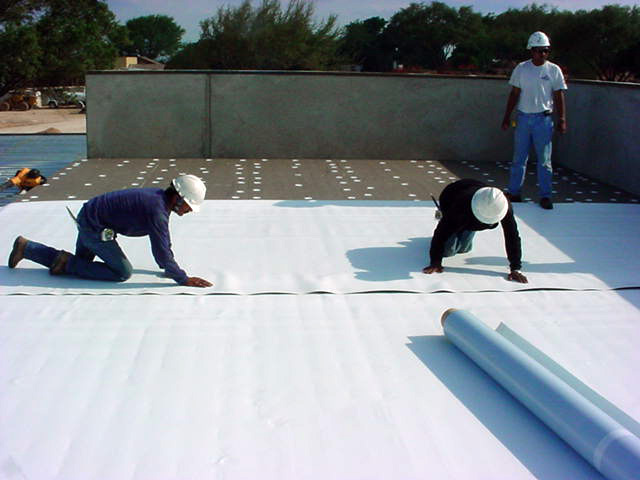 Contact Arango Insulation today for more information regarding why you should hire us as your commercial roofing contractors in Birmingham, AL. We also offer several other commercial services, including steel fireproofing, concrete waterproofing, and multiple types of insulation.